Update: Jan. 19, 11:35 a.m. Plumas County Sheriff’s Investigator Steve Peay reports that 20-year-old Kelsey Powles, of Westwood, has been found deceased in the area near where her car was found stuck in a ditch. Peay said her body was discovered by Plumas County Search and Rescue this morning. The cause of death is under investigation. Plumas County Search and Rescue is coordinating with Lassen County to help locate 20-year-old Kelsey Powles of Westwood. Powles was last seen at her Westwood home Wednesday evening, Jan. 17. 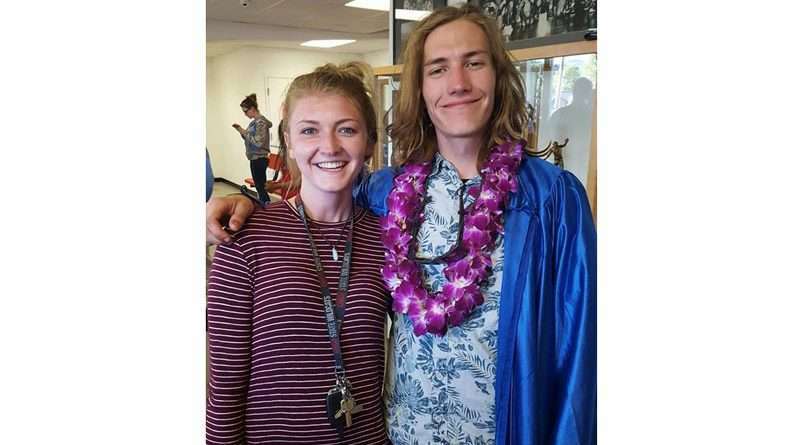 On Thursday, her vehicle was located stuck in a ditch close to the newly completed Hamilton Branch bridge along Highway 147 near Lake Almanor. Plumas County Assistant Sheriff Dean Canalia said his department was notified Thursday, Jan. 18, at about 4 p.m. that a missing persons report had been filed, and Search and Rescue was activated. “They were out until at least 11 p.m. last night and it was reactivated this morning at first light,” Canalia said this morning, though he added that last night’s snow in the area could hamper efforts. Anyone with information, should call the Plumas County Sheriff at 283-6300.